A girl who was 'locked-in' her body woke up after her mother played piano by her bedside. 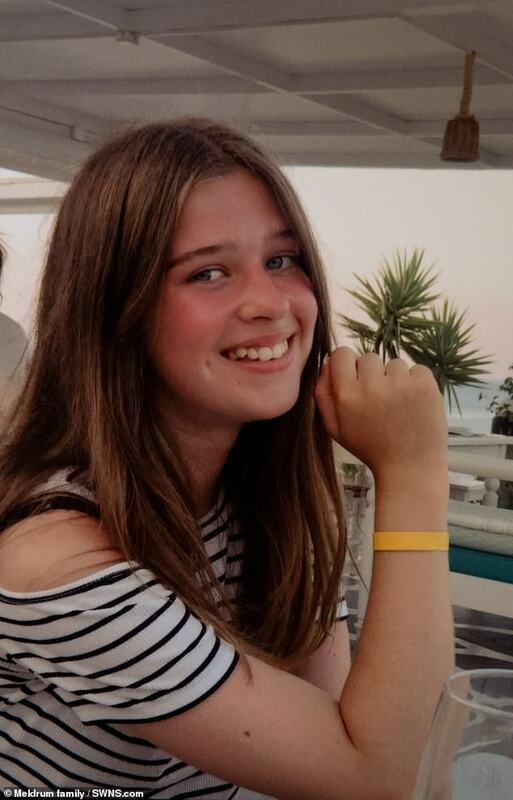 Miranda Meldrum was a talented singer and an active 13-year-old when she suffered a life-threatening brain haemorrhage in the early hours of April 25 last year. After experiencing a severe headache, sudden hearing loss and paralysis of her arms, Miranda was rushed to Bristol Children's Hospital where doctors performed life-saving surgery. But the operation left Miranda, now 14, with locked-in syndrome, which occurs when a sufferer cannot move or communicate but is aware of their surroundings. After being given just a five per cent chance of ever 'waking up', Miranda started singing along when her mother Stella, 52, played the keyboard at her hospital bed. Now slowly relearning how to walk and talk, Miranda is due to go back to school next month after spending 18 months in hospital. Speaking of her ordeal, Miranda said: 'Music has been as if someone was holding my hand the whole way through this. It's been my sanity. While she was in hospital, loved ones would play Miranda tunes like Evanescence's Wake Me Up Inside, while her father John, 54, would play the guitar. After her mother started reading letters to her daughter from her loved ones, Miranda's eyes started flickering and her hand began to make small movements. Stella, a doctor, said: 'Some people can be locked in for years on end, some people are fine with that and some get very upset and wish they hadn't been saved. 'Miranda had a 95 per cent chance of remaining like that indefinitely. After three months, Miranda began moving her eyes and blinking. 'Then Miranda moved onto being able to touch fingers on a keyboard and now she's learned sign language,' Stella said. After being rushed to hospital, Stella and John watched 20 doctors and nurses work to keep their only child alive. 'In my 25 years as a doctor I've seen nothing like that,' Stella said. 'There were 20 members of hospital staff at 4am all gowned and gloved up - the room was full. 'A surgeon said we had to take a piece of skull from her head - "she might die during the operation but if we don't do it she will die", he said. Before her haemorrhage, Miranda was a promising student who excelled at art, English, drama, psychology and biology. Miranda, who has started singing lessons again, said: 'The three most important things to my recovery are music, my cats and my friends. 'I listened to music throughout and the photos on the hospital wall of my cats helped so much. I message my friends, which has helped when I'm bored. 'The thing I miss most about my friends is the fact they get everything, they understand me telepathically and we have our own lingo. 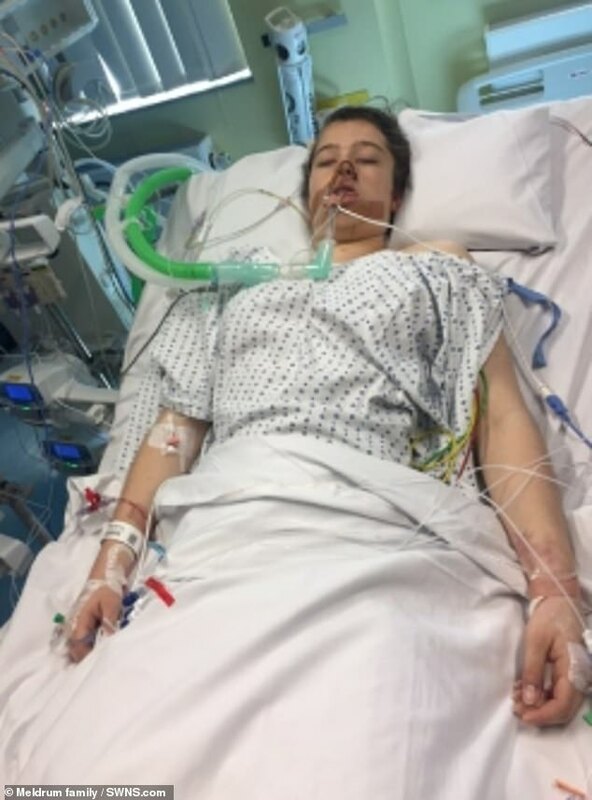 Stella, who has been unable to work for two years while caring for Miranda, has launched a fundraising page to pay for specialist equipment for their home. 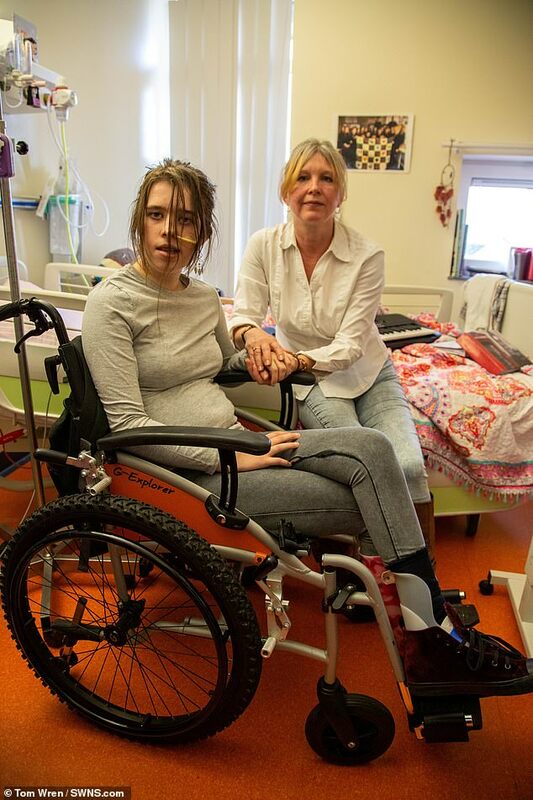 She hopes to raise £30,000 to buy a walker for Miranda, pay for private physiotherapy sessions and convert the downstairs of their home ahead of her release from hospital next month.